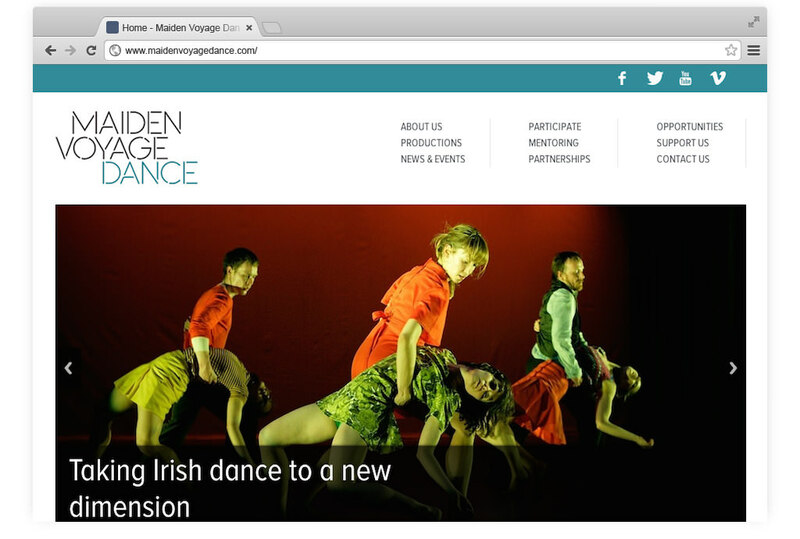 Maiden Voyage Dance is an artist-led company working with local, national and international collaborators. Whilst their previous site looked good, it failed to work well across different devices, didn't make good use of their social networks and didn't promote their current productions. Much of the multimedia was Flash based which meant iPhone and iPad users could not see this content. Another major problem was that staff could not easily update the site themselves. 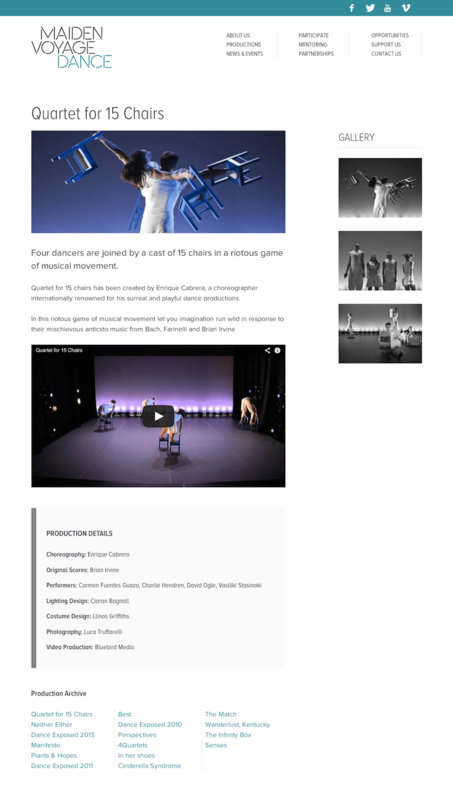 I built a bespoke responsive WordPress website which included custom templates for news, events and productions. This allows staff to make quick and easy updates. Highly effective and efficient in delivering agreed targets, and making our website more responsive and fit for purpose. Charlie produced a plain English users manual to guide us through all aspects of Wordpress editing, so all updates can now be made in house. Charlie has a very professional yet informal and friendly manner, and made the process very smooth.